New year, new you, new business goals! How are your business growth resolutions coming along for 2019? We all think about them, and we may start off with a mountain of enthusiasm. But do you remain focused to meet those goals? According to Forbes, If you’ve already slipped up (or thought about it), you’re not alone. U.S. News said about 80% of resolution-makers trade enthusiasm for disappointment by early February. Other research indicates that 30% don’t even make it that far, ditching their resolutions before they reach the two-week mark. Before you grab that doughnut and prepare to wallow in self-defeat, take some inspiration from John Norcross, professor of psychology at the University of Scranton and an expert in behaviour change and resolutions. As Norcross told Time magazine, early slips do not predict failure. No matter which area of your life or business requires course correcting, there’s no question that it takes some work and resolve to get things back on track. Yet, it might not be as difficult as you think. Next time you experience a setback, don’t waste precious time beating yourself up. Instead, use the following checklist to help you get back on track toward your goals as soon as possible. This approach works as well for your finances as it does for your diet, exercise, family or career goals. Begin by documenting your goals: Documenting your goals not only makes them “real” but creates a greater sense of motivation and accountability for pursuing your goals. Reflect on the importance of your goals: Remind yourself why each goal is important to you. Develop a strategy. Without a strategy in place to pursue your goals, your chances of falling short increase exponentially. Establish a reasonable time frame: Consider how realistic your time frame may be. Acknowledge your progress along the way: Instead of focusing solely on how far you still have to go to meet your ultimate goal, take time to acknowledge your progress along the way. Most of all, don’t be afraid to make changes and adjustments along the way. Business isn’t simple, and neither is the path to success. But if you don’t take the chance, how do you know? You haven’t failed until you quit trying. Is financial growth is part of your business goals? 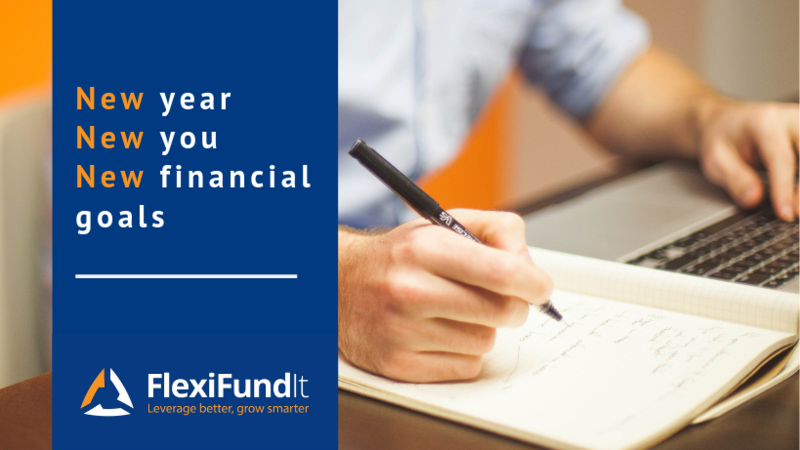 The FlexiFund It team enjoy creating financial growth for businesses. We all have client databases, and our software helps you leverage that database by offering a simple automated recurring payment collection solution to your clients. If you are in the professional services industry, start the conversation now. You won’t know until you try.